Penn Automotive is first and foremost a collision repair facility. We have all of the equipment and knowledge necessary to completely repair a vehicle. Penn Automotive is a complete one-stop shop for collision repair. 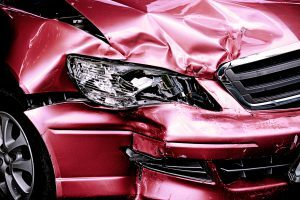 Being involved in an accident can be a frightening and trying ordeal. Your interest is our main priority. It makes sense to keep our customers happy so that we can continue to grow our business across the region. We began fixing cars in 1959 and recently celebrated being open for sixty years. The current owner, Joel Feldman, is the only mechanical engineer in Pittsburgh to run his own collision shop. Joel is also a licensed damage appraiser and mechanic for more 30 years. He personally handles every customer and has written over 30,000 collision estimates. If you have any questions during any part of the repair process we encourage you to contact us. We are always delighted to answer your questions and calm your concerns. We’re happy to discuss the options available with or without insurance or to walk you through the insurance claims process. We repair cars for all insurance companies. No matter what insurance an insurance company indicates it is in your best interest to bring you vehicle to the shop of your choosing. Pennsylvania law allows you to bring your vehicle where ever you want. We guarantee all the work that wer do for the life of your vehicle. Vehicles today are built with engineered features that are designed to protect you and your family in the event of an impact. When repairing these vehicles, it is important that the correct procedures and materials are used so that those same safety features will perform properly in case of another impact. As collision repair professionals, all of our training, specialized equipment, our state of the art facilities and expertise ensure repairs that not only look great, but will perform great. 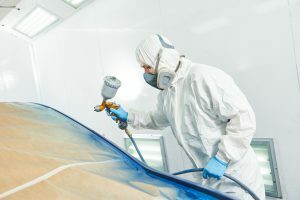 We followed the footsteps of leading auto manufacturers and other world class collision repair centers and partnered with PPG automotive finishes to exclusively use their line of paint products. After the refinishing process, the curing process in our paint booth ensures a durable finish. We want your vehicle to look great! 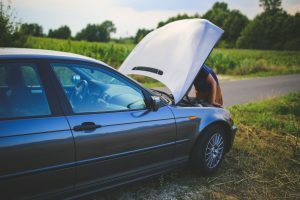 Do I have the right to choose where to bring my car to get fixed? You have the right to choose where to fix your vehicle. Your auto insurance company cannot require you to go to a particular auto body repair facility. A deductible is the amount that you agree to pay to the shop out-of-pocket in order to repair your vehicle. This amount (usually $500) is paid directly to us when you pick up your car. A preliminary estimate is the first step to getting your car fixed. At this point we look at your car, (it usually only takes 10 to 15 minutes and then we schedule a time to bring your car in for repair. What are my rental car options? In many instances, your insurance company provides you with rental coverage. Almost everyday Hertz and Enterprise are here picking up and dropping off vehicles. All repairs are guaranteed as long as your own the car. Additionally, the work we did is covered by State Farm and Erie.